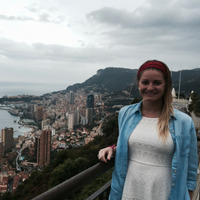 Before my Summer English Camp Italy program started in early June, I knew I wanted to explore the country more. I had never been to Italy - or Europe - and wanted to make the most out of my time there. I connected with a fellow participant, Melissa, via InterExchange’s Facebook group. 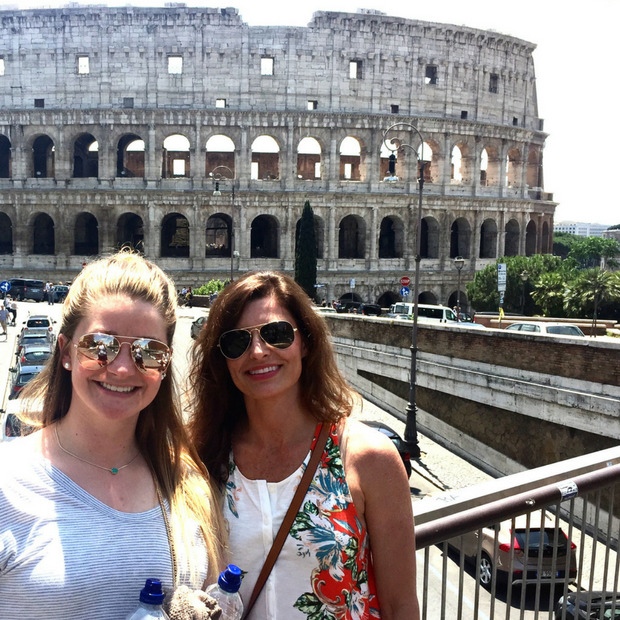 We took a leap of faith and decided to explore Rome together before the program began. Melissa hadn’t been to Europe either and all we really knew about each other was that we were both from the south. We had a few exchanges in our group chat with the other participants and we kept in touch until we left. 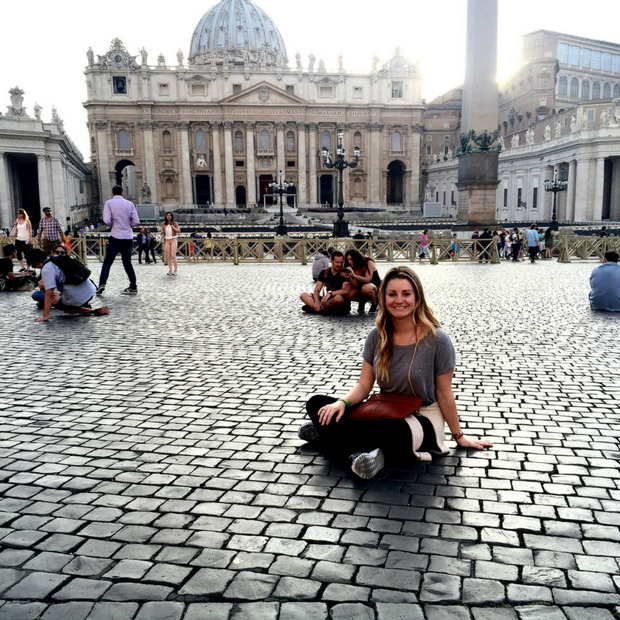 Sitting in front of St. Peter's Basilica in Vatican City. After traveling for many hours over several connecting flights, I arrived first in Rome. The lady working at our Airbnb attempted to give me directions in Italian, but we couldn’t understand each other at all! We laughed and she made me my first Italian cappuccino. It was my first moment feeling out of my comfort zone. I was officially on my own. Melissa arrived later that afternoon and after dropping off her bags, she said “Okay, I'm going to fix myself real quick and then you want to head out?” My first thought was, "Yes, thank God!" because I knew we were on the same page. We took our time exploring on our first evening, enjoying our first pizza and glass of wine in the Trastevere neighborhood of Rome. Melissa and I visiting the Colosseum. Throughout our time in Rome, we got lost on several occasions, even traveling 30,000 steps one day. (Thanks, Health app - go us!) It felt like we walked and ate our way through Rome by the end of the weekend. This experience was only the beginning of some of my fondest memories in Italy: taking a chance, getting lost in many adventures, and trusting everything would work out. And it did. Stepping out of your comfort zone and fulfilling your dreams is always worth it! Rome is just three and a half hours from the beautiful Marche region, where the majority of InterExchange’s Summer English Camp, School Teaching Assistant, and English Conversation Coach participants are placed. A network of trains, buses, and budget airlines makes traveling before, during, and after your program easy!